Anglicare's Arts&Minds is a non-profit organisation which supports people living with mental health challenges. The organisations offers a range of vital mental health and wellbeing support initiatives and encourages the creation of art to support one's mental wellbeing. This Winter, Arts&Minds is proudly hosting a four-week exhibition in Brisbane showcasing a handpicked selection of groundbreaking artworks by talented local artists. Described as an "artistic window to mental wellbeing", this unique exhibition will commence with a Gala Opening on Wednesday 28th June in the popular Bromley Room at West Village in West End. This will be the wider community's first opportunity to see these historic masterpieces in real life. 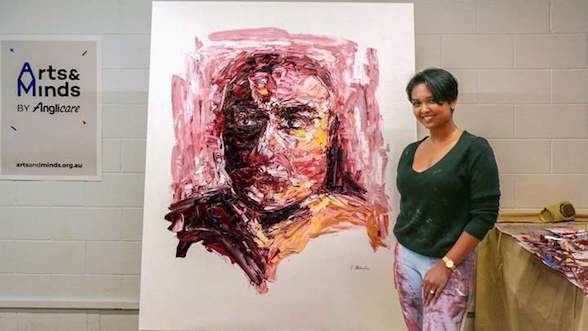 The six feature artists are Kyan De Vere, Jayne Curle, Lorelle Murray, Rochelle Alahendra and Cielle Van Vuuren who have each experienced mental health challenges. 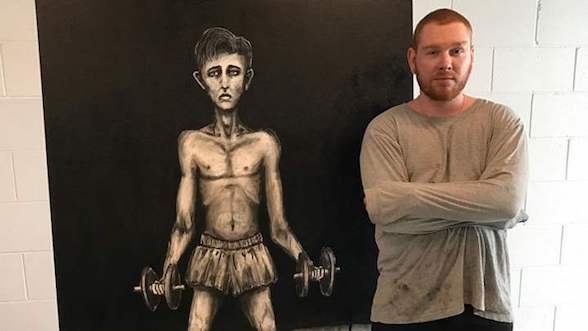 Their respective thought-provoking artworks were created in just eight hours and then 'hung' and auctioned on THE goa GRID to raise funds for and awareness of Anglicare's mental health and wellbeing initiatives. Each of the six artworks have already been spoken for, but Gala attendees will be invited to bid for other works donated by renowned local artists and galleries and additional works by the Arts&Minds participants and artists who were shortlisted for the campaign. 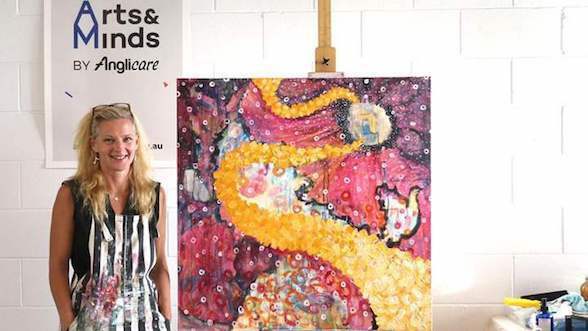 Anglicare Southern Queensland's Executive Director, Karen Crouch, notes that millions of commuters will have already caught a glimpse of the six Arts&Minds creations on goa's billboards since the campaign launched on in May. 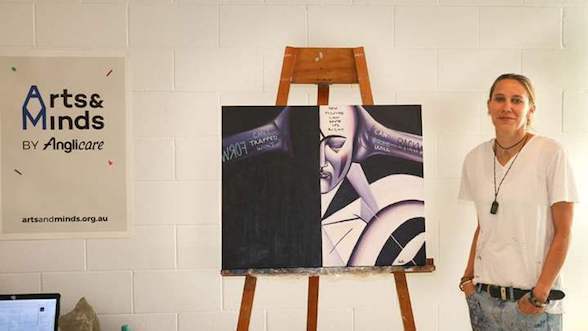 "Brisbane has been lucky enough to see six incredible pieces produced live throughout the six-week Arts&Minds campaign, thanks to the talent and openness of the chosen artists, the generosity of Queensland's own outside advertising specialists, goa, and the wonderful people who bid on these historic artworks," Ms Crouch said. 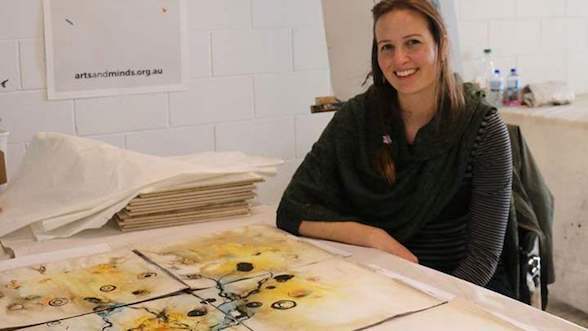 "Now, we're extremely excited to introduce these artists formally at the Arts&Minds Exhibition Gala Opening and to celebrate the life-changing, affirmative impact that art can have on those living with mental health challenges". During the evening, there will be live music and drinks and canapes will be served. Renowned Australian art-dealer and taste-maker Philip Bacon has been announced as a special guest speaker alongside the curator of the exhibition, Yuge Bromley. Funds raised from the event, including ticket prices and proceeds from the art auctions, will go directly to initiatives supporting those living with mental health challenges. Tickets for the Gala Opening are now on sale and priced $100 per person ($60 tax deductible donation). You can purchase tickets from www.artsandminds.org.au/tickets or (07) 3838 7689. Following the Gala Opening, the exhibition will remain open on selected days until Sunday 23rd July from 10am to 5pm.